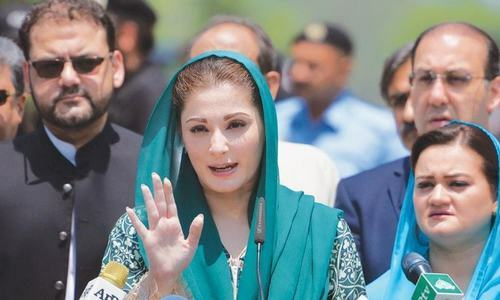 ISLAMABAD: Panamagate Joint Investigation Team head Wajid Zia disclosed before an accountability court on Thursday that the JIT was not unanimous in sending a questionnaire to the Qatari prince to verify the money trail of the Sharif family. 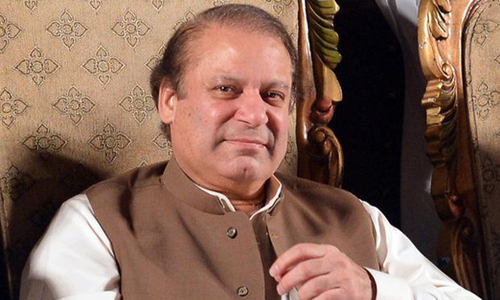 During cross-examination in the Avenfield properties reference against ousted prime minister Nawaz Sharif and his family members, Mr Zia admitted that though the JIT had written a letter to the implementation bench but this did not give a true picture to the bench that there was no consensus within the JIT about the questionnaire. Rather, he said, the Supreme Court had been requested to advise which option the investigation team should opt to verify contents of the letter of Qatari Sheikh Hamad bin Jassim bin Jabber Al-Thani, which claimed that the Avenfield apartments had been handed over to the Sharif family as part of a settlement. Defence counsel Khawaja Haris Ahmed read out the contents of the Qatari prince’s letter written to the JIT and said that Mr Al-Thani was ready to testify but was asking for a questionnaire before his formal testimony. Mr Zia said that in response to the letter he received a phone call from SC’s deputy registrar Mazhar Abbas who “conveyed the bench’s decision that it was an investigation matter and the JIT may decide on its own”. Interestingly, he revealed that the JIT had already decided that its members would neither travel to Doha nor send a questionnaire. However, he said, this decision was neither incorporated in the JIT report not did it inform the apex court about it. The JIT head informed the court that he had been in the Police Service of Pakistan (PSP) for 29 years and had worked for the International War Crimes Tribunal, Yugoslavia, for five years. 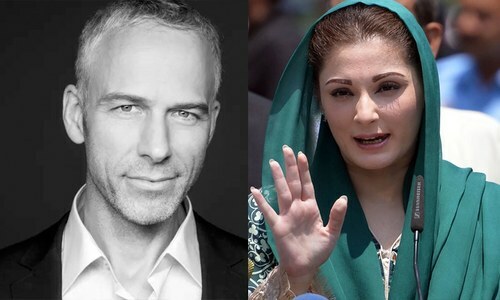 He said that besides serving in the economic crime wing of the Federal Investigation Agency (FIA), he also was associated with a team that investigated the Benazir Bhutto murder case and high treason case. “But have you ever investigated any NAB case before?” asked the defence counsel. “No, I have never investigated a NAB case,” Mr Zia replied. When Mr Sharif’s counsel asked if there was any law prohibiting the JIT from sending a questionnaire, Mr Zia said that in his career he had “never sent a questionnaire in advance to any witness”, though he admitted that the FIA had sent questionnaire to witnesses in some cases. Asked if he had read the Police Rules 1861 in his 29 years of police service and if there were any rules prohibiting the JIT from sending a questionnaire to a witness, Mr Zia said he had not found any such rules directing him to send a questionnaire to a witness. He confirmed that Hussain Nawaz’s photo was leaked from the premises of JIT secretariat and it went viral, but said he couldn’t reveal the name of the person who had leaked the photo since he the apex court had already dealt with this matter. When Advocate Haris asked him how he had verified the letters of Mossack Fonseca, Mr Zia said the JIT had solicited confirmation and certification of three letters, including two of Mossack Fonseca, and there were no supporting documents along with Mossack Fonseca’s reply. He conceded that the JIT had not sought supporting documents from Financial Investigation Agency of the British Virgin Island and Mossack Fonseca. The JIT had also not written to the reporting officer of Mossack Fonseca, he added. However, he said, the same procedure had not been adopted to verify the letter of the Qatari prince and he was asked to testify in person before the JIT’s secretariat in Islamabad or at Pakistani Embassy in Doha. Khawaja Haris would continue cross-examining the JIT head on Friday (today). It seems that Wajid Zia is at loosing end and may be we would see Nawaz Sharif again in Power. And more powerful than ever but most likely and hopefully a reformed person who would ensure that the shortcomings experienced in the current government are addressed and would also develop a conscience to evaluate himself and return the looted money to set and example for all other parties. PTI, PPP and the others who barely matter. It is sad to see officers of such integrity and esteem being wasted. Officers like Wajid Zia are pride of this nation and are capable of turning things around. He had done his job with integrity. He is a great officer and son of the soil who had the courage to challenge the ruling elite. @Tahir really ? Are you serious ? Wajid Zia give money to his cousin in England. Could not find anyone else to do the job better? @Dr. Doctor , perhaps sir you have not heard of the saying that a dog’s tail remains bent even if you bury it for 100 years!! Noon League is corrupt beyond the point of no return and hope of a reforms Nawaz Sharif is nothing but a fairy tale. @WAQAS AYUB Not at all. The general public don't understand the legal complexities of the issue and the other party is giving the impression as if he is at the loosing end. I always felt that the allegations against Nawaz Sharif will not stand in a real trial. Wajid Zia's unsatisfactory answers are confirming my suspicions. @Haal You don't think his cousin did a good job? What would you have liked done differently. Also check the record, Wajid disclosed company was owned by his cousin and got clearance from JIT/court. This is called transparency. @Tahir sad you think that way about a person who bought no constitutional reforms to provide equity and justice to common people and how many chances to this corrupt mafia you wanna provide. there is a whole team who enjoyed the power on the expense of deteriorating the country one example is Ishaq Dar. @WAQAS AYUB Not necessarily. For Qatari to be used as some material witness, he will have to be presented by Defence as a witness and would undergo cross questioning by prosecution? Will he agree to that? Don't think so.